Turn on HD for best quality. Angkor Wat Cambodia is one of the spiritual power centers on this earth and has the ability to humble all who walk through its root covered ruins. After being slightly traumatized by our filming of the Full Moon Party on Ko Phan Ngan, it was nice to get back to Bangkok and make the journey to Siem Reap, Cambodia, home of the Angkor temples. I had made the journey in 2005 when the road between the border of Thailand, Poipet and Siem Reap was just a mangled pot holed mess. The journey was infamous for being torturous as backpackers and their backpacks would be crammed into the back of a pick up truck for a 8 hour journey. When I did it, a guitar was stolen from us and it lived up to its hellish reputation. This time however, it went much smoother although it wasn’t without its hickups. We made the journey in the relative comfort of a first class bus from Bangkok to the border and then got a ride in a mini van to Siem Reap. We found a recommended driver and scheduled him to be our guide for the next two days. We started our first day before dawn as we wanted to take some photos as the vine and root covered Ta Prom temple at sunrise. It was a beautiful experience as we were the only ones there for the first hour and has the magical ruins to ourselves. As the sun came up the heat and humidity were punishing with the temperatures reaching 108 degrees. We were covered with sweat but that did not stop us from seeing most of the temples, some of which are 20 miles apart from one another. Photos and videos cannot do justice to the experience of being at the temples, but we hope this video can give you a small taste of the sites and sounds of Angkor. We will be posting a large photo gallery of Angkor in the next week, so keep your eyes peeled for our next post. Koh Phangan Thailand: home of rainforests, waterfalls, enviable coastlines, Buddhist temples, and the infamous Full Moon Party. The Full Moon Party is a monthly event held on Haad Rin beach on the south tip of the island. It began over 25 years ago as an impromptu gathering of travelers on the beach, and it has grown a life of its own, attracting upwards of 10,000-25,000 people each month. The party has gained a somewhat notorious reputation worldwide for its drug and alcohol-related injuries, sexual assualts, and even deaths. However, we went to the party in April to witness a concern of our own which we could find little to no exposure on in the media or online. Over the years we’d heard myths from friends back home in California that there was a very serious problem with the impact of trash from the party which was not being properly dealt with. For this reason we’d never wanted to personally attend the party ourselves. We’d heard that the beach was covered in bottles, straws, plastic, and cigarettes by dawn- all making its way to the ocean by incoming tides. One friend told us a story so wild we thought it couldn’t be real–his account of watching Thai women rake the trash into the ocean after the sun rose, and as the shore pushed the litter back to land, she’d shovel back out to sea. We’d been to Thailand before, enjoyed and admired its culture, cities, and islands. Was this beach really being trashed by tourists on a monthly basis? Who was responsible for keeping it clean before this becomes an ocean conservation issue? We decided to attend the event and document the scene for ourselves. Our intention is to turn our footage and various interviews into a short documentary. Here’s a small glimpse of what we captured in snapshots. While staying on Koh Phan Ngan in Southern Thailand, we ventured to the north east of the island and heard rumors that a friendly Whale Shark, the holy grail for a lot of divers, had been seen the previous days. The whale shark is a harmless “shark” and more akin to a whale, being the largest of the fish species. Dark grey with white spots it can grow to be up to 42 feet long and weigh 47,000 pounds!! We booked a spot with a local dive operator to the dive sight Sail Rock, a large rock jutting out of the ocean halfway between Koh Tao and Koh Phan Ngan. The two dives were some of the most magical dives we had ever done with thousands of fish in schools, encircling us as well as turtles, barracudas, and lion fish encounters. On the second dive we were rewarded with multiple visits from a very friendly Whale Shark. It swam by us several times throughout the dive and even came up to the surface to say hello to the snorkelers. We were exhilarated and at the end of the dive came to the surface whooping and slapping high fives with each other. An experience not to be forgotten and we are grateful to have captured it on film. It’s hard to believe when you are in the mountains of Laos or cruising on the Mekong and Nam Ou rivers that this beautiful country was anything other than peaceful and is the most heavily bombed country in the world. If one digs a little deeper, or spends some time in the countryside, it’s recent tragic past will start to uncover. You will start to notice flower containers, water pots, benches, and household items made from old bomb casings. 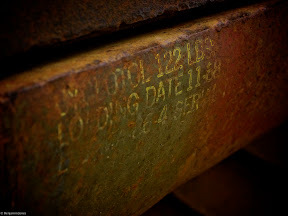 Take a close up look and you will see “United States” and a year (usually 1968 or 1969) engraved on the rusting metal casing. The most obvious question is “weren’t we at war with Vietnam?”. Due to Laos’s unfortunate location next to Vietnam it got pulled into the debacle of the Vietnam war, even though it was a neutral country. Communist leaders in both Vietnam and Laos infiltrated the countryside and built a huge road linking China with Vietnam called the Ho Chi Minh trail. The trail went right through Laos and enabled the Viet Cong and Northern Vietnamese army to transport soldiers, food, ammunitions, and basically anything it wanted to its troops. In a climate of eroding public confidence with the Vietnam war, the United States government feared that if the American public found out it was bombing a peaceful country like Laos, it would be the last straw, and public opinion would shift heavily against the war. It was decided that bombing would remain essentially a secret until it was uncovered in 1970. Between 1964 and 1973 the United States flew 580,000 bombing missions over Laos, thats one for every 8 minutes, 24 hours a day for 9 straight years! 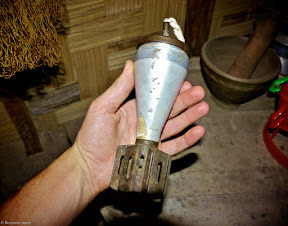 30% of those bombs failed to detonate and over 50,000 people have been killed or permanently injured as a result of Unexploded Ordinances (UXO). 40% have been children. 25% of the villages in Laos are still contaminated by UXO and hiking on anything other than well marked paths can be deadly. 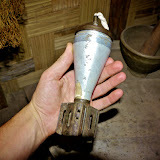 Villagers injure or kill themselves while farming, hiking, searching for scrap metal to sell, while children often find UXO and play with it unaware of its dangers. People are injured and killed every year by bombs that failed to explode over 40 years ago. It’s not all doom and gloom though, and we met some people that are doing great work, educating villagers on the dangers of UXO and clearing the countryside. The non-profits Mines Advisory Group and Legacies of War are doing wonderful work and we checked out a progressive museum called the COPE Museum in Vientiane, had some really well presented exhibits. COPE’s efforts is to provide prosthetic limbs to victims of the UXOs and teach them how to live, work, and function in a new way. They also educate villagers on how to avoid contact with UXOs. 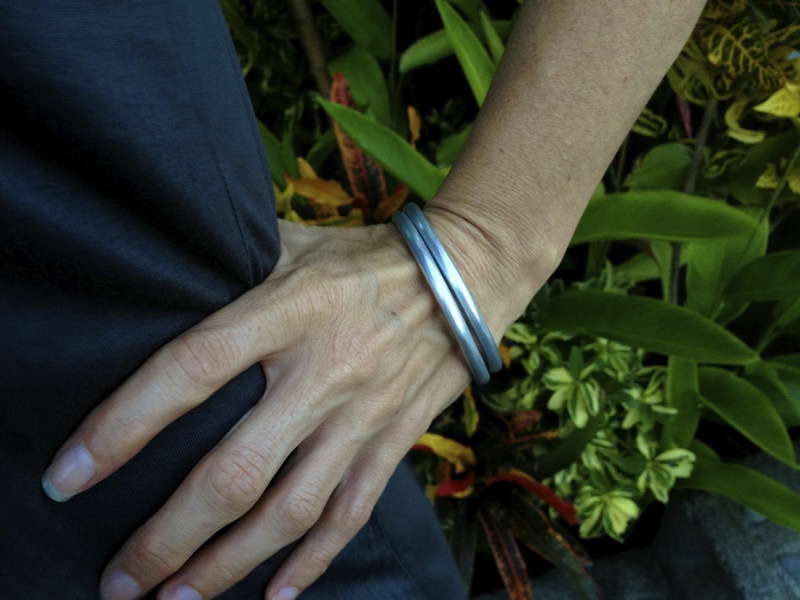 While in Vientianne we were able to buy bracelets made from UXOs by an organization that trains villagers how to safely recycle the scrap metal from bombs and cast it into jewelry and silverware….metamorphosis. America is the largest funder of the non-profits who work in Laos and rightfully so. 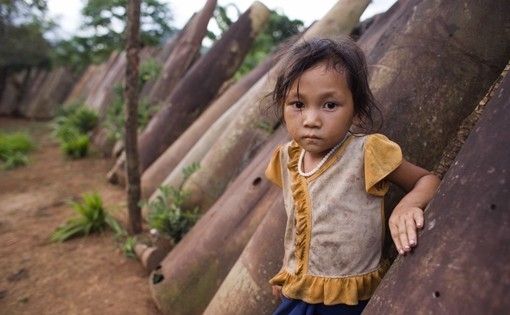 The US Congress approved $9 million to be spent in 2012 for clearing UXO in Laos. In January a Japanese made $1 million bomb clearing vehicle arrived in Laos ready to work. It is all so frustratingly backwards though, and it is obvious there was no forethought by the Generals who ordered these missions of the repercussions it would have on future generations. No matter how many millions of dollars the United States throws at the problem, they will never be able to undo the suffering caused. Nothing could be done to make things better but at least there were a few good people like Peter Kim and the non-profits who were trying to right the wrongs made by previous generations and making sure they didn’t happen again. Some snapshots of life, nature, and tradition in Laos. 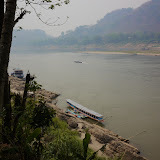 The lovely and mysterious Nam Ou River moves through Northern Laos slowly. This photo overlooks the river from the Nong Khiaw bridge in the small town of the same name. 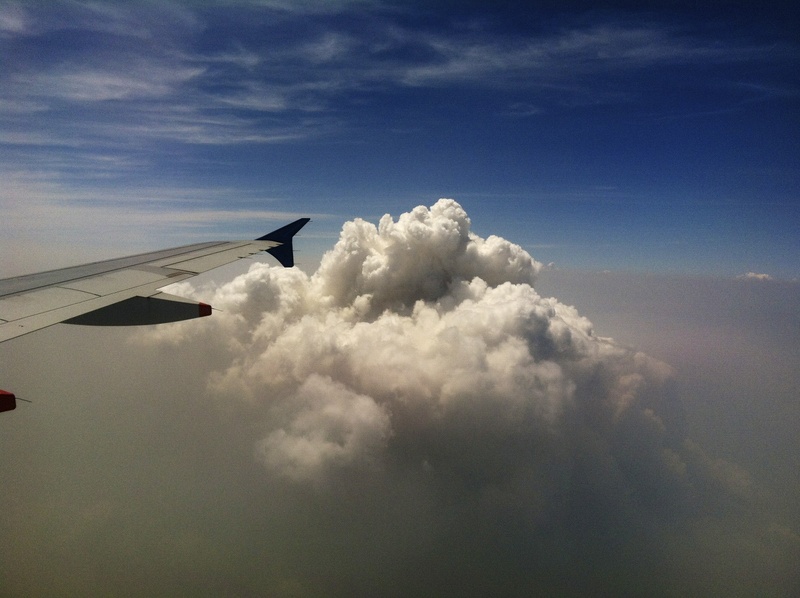 The sky was becoming cloudy and misty–a wonderful break from the smoke of Luang Prabang. We stayed here one night before venturing further north upriver to Muang Ngoi. We enjoyed a cold drink from this village “cafe” while overlooking quiet rice paddies, misty moutaintops, and the sound of village life in the background. Ban Na village, Muang Ngoi. Beerlao, produced just a few kilometers away from this cafe in Vientiene, Laos, it is “world famous” and the only beer to drink if you are in Laos. Laotions are very proud of their highly respected brew, apparently named by Time magazine to be Asia’s best local beer. It is crisp but smooth and for a buck, you cannot go wrong! 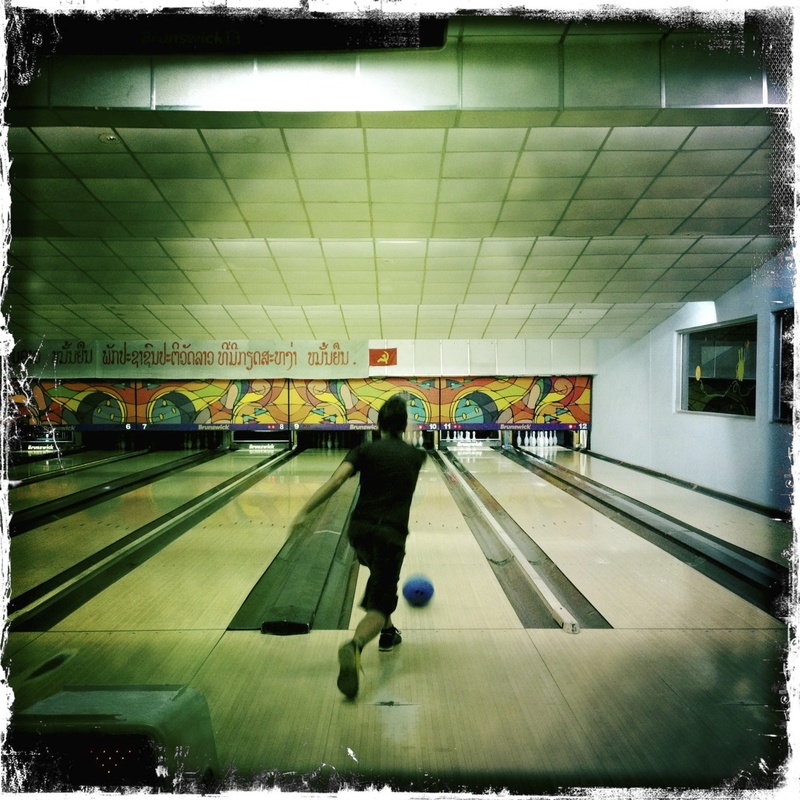 Laos’ capitol city of Vientiene may not have the hottest nightlife, but if you’re willing to show your stuff in front of the locals, we had a blast at a few late night rounds of bowling. Best of all was the old Brunswick 2000 equipment, which took us both back to our 1980’s childhoods. Brightly colored ribbons are wrapped around trees, this one here in Vientiene, as a Buddhist offering to the spirits believed to be residing within. We enjoyed an afternoon getting out of town to visit the Lao Textile Museum. The museum exhibited weaving styles, dying, traditional clothing in a quiet and gorgeous gardened setting. They also offered classes and workshops. Here the caretaker is showing us how fabric dye is made. 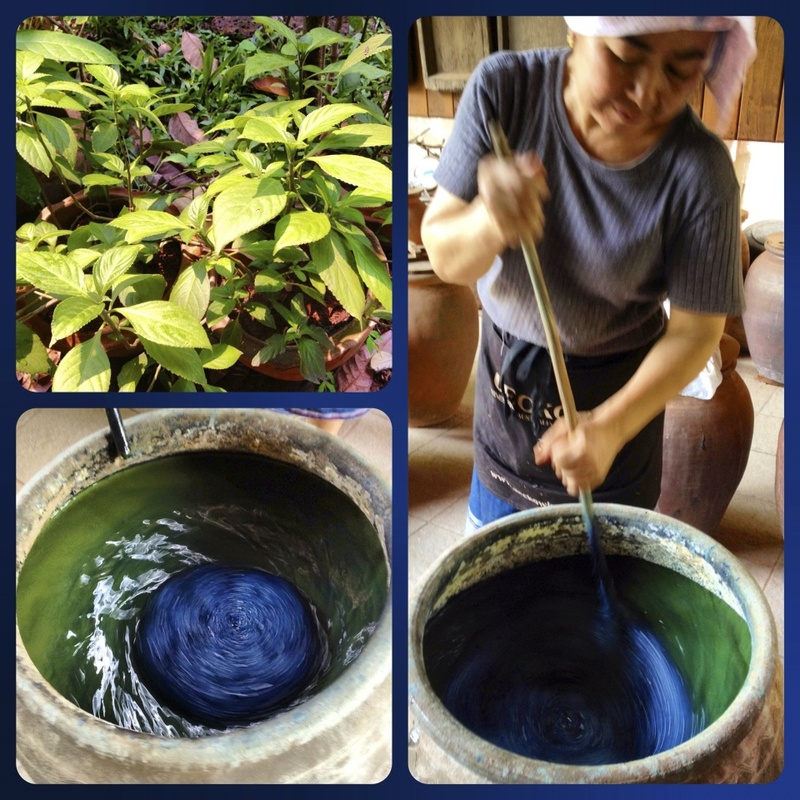 The top left corner is the indigo plant, grown on the grounds, and dozens of clay urns were holding dye, which was fermenting over a period of several weeks. The dye appeared green until mixed, then becoming a deep bright blue. Northern Laos has some dramatically beautiful scenery and this video offers a glimpse into our trip up the Nam Ou river to Muang Ngoi Neau and Ban Na Village. Both are nestled between huge limestone karst mountains and our time there was the highlight of our trip to Laos…enjoy! After nearly a week exploring Northern Thailand amid a cloud of smoke from the slash and burn agriculture we boarded a plane to Luang Prabang, Laos. We had hoped Laos would be a bit less hazy, but upon our descent into the airport it looked like it would be worse. Although disappointed by the lack of views that this country is known for, we were determined not to let that ruin our time here. I had visited Laos in 2005 and had fallen in love with the landscape, the people, and the slow pace of life, and was anxious to share it with Shana. Luang Prabang is a special place, with the old city planted beside a bend in the Mekong River and emanating old world charm. You can see remnants of it’s French Colonial past in its architecture and riverside cafes where sipping a coffee and watching the river life pass by is a favorite pastime. 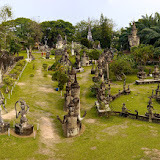 We spent a few days exploring the temples and royal palace which has remained devoid of the Royal family since 1975 when the Communist Pathet Lao party ended the monarchy and sent them to work and eventually die in the fields. We were eager to escape the agricultural smoke which enveloped the entire city, swallowed sunsets, rained ash over every surface and wreaked havoc on our eyes, nose, and throats (see our previous post on slash and burn air pollution). Heading up the Nam Ou by riverboat is the only way to reach Muang Ngoi Neua as it has no road access. Watching the river life from the boat, it seems as if it has been frozen in time and not much has not changed in the past hundreds of years. Families cruise up and down the river and fishermen stand waist deep setting and checking their nets for a fresh catch. Upon arriving, we were ecstatic that a heavy morning rain had cleared away the smoke and the air was cool and crisp with a mystical thin veil of fog hanging over the limestone mountains reminding us of Lord of the Rings Middle Earth. Muang Ngoi used to be a regional center but was bombed off the map by America during the CIA’s “secret war” against Laos during the Vietnam war (more on that in an upcoming post). Unexploded bombs can still be seen in the village being used as flower pots and at our guesthouse as stairway banisters (see photo). Since then, the village re-established itself and was rediscovered by backpackers about 10 years ago and now sees a stream of travelers. Muang Ngoi is a great place to hike to reach off-the-beaten-path villages as there are no roads in the area and electricity is limited to 3 hours a day. On our second day there, we set off to hike to a local village, Ban Na. A trail took us through rice paddies, passed by a cave that was used by locals and rebels during the war, and then past a traditional weaver from whom we bought a scarf. The trail arched over hillsides that gave us spectacular views of the valley and the majestic karsts looming overhead while also passing swaths of hillside that were still baren, black, and still smoking from the slash and burn practices. As we descended onto the floor of the valley and entered Ban Na village, Shana and I could only look at each other with childish grins on our faces as we were so blown away by the surroundings. We were the only non-villagers there so we respectfully and slowly started walking down the single lane of the village smiling at the locals who were very curious about us. Seven-inch long puppies flocked at our feet and we came across a group of young boys firing pellets out of skinny shafts of bamboo that popped like cap guns. We had purchased a set of Laotian/English language children’s books at the non-profit Big Brother Mouse in Luang Prabang to hand out to villagers as they often don’t have the means or access to books. We handed some out and the boys were instantly enraptured by them. After enjoying the secluded atmosphere we headed back to Muang Ngoi Neau as the sun set and passed a large heard of cows who were on their way back home as well. After another day soaking up the laid back atmosphere we headed back via riverboat to Luang Prabang and then spent a few days exploring the Capitol of Vientianne where we enjoyed an excellent authentic Italian meal and some delicious western dishes that helped nurse our cravings after a steady diet of local cuisine. Laos is an incredible country, despite being one of the poorest in the world in the world and owning the dubious distinction of being the “most bombed country in the world”. The slowed pace of life, subtle French influence left over from it’s colonial past, and dramatically beautiful scenery truly bolster its claim to being the “Jewel of the Mekong”. At hour 16 of our 17 hour train ride heading north from Bangkok to Chiang Mai, we learned from a fellow traveler that Chiang Mai was apparently experiencing large amounts of smoke and haze in the air due to the slash and burn agricultural practices of the surrounding rural hills. The air quality has been so bad, he tells us, that two German travelers he’d met in Bangkok had ended their trip early with debilitating upper respiratory infections. The burns happen every year around February and continues throughout the dry season, so it should be nearly over, he says. Apparently this years’s smoke and pollution levels were supposed to be a doozy. Great! We’d had no idea. We’d planned and researched our travels but had failed to see any warnings on this annual burning in our Lonely Planets or anywhere. The best laid plans of mice and men… How bad could it really be though? Slash and burn describes an agricultural practice which involves cutting and burning forests or farmland to create and prepare fields for the new season. The cutting usually occurs prior to the dry season, allowing the fields time to properly dry out for the burning during the dry months. The ash of the burn then fertilizes the soil, and a new crop is planted at the beginning of the next rainy season. According to the Encyclopedia of Earth, slash and burn techniques are used by between 200 and 500 million people worldwide. There are several reasons why slash and burn is a destructive practice ecologically, one of which is that it depletes the soil of nutrients and thus threatens biodiversity. Other reasons are the more obvious increase in deforestation and erosion. But the most obvious ill effect to the layman’s eye is air pollution. When we arrived in Chiang Mai, the sky looked like a smoggy day in LA (like I’ve never myself seen– perhaps a pre-Smog Check industrial LA sky of the 1950’s I’ve only heard about in stories). The sky had a yellow hue and about 2-3 hours before sunset the sun would turn bright red above the horizon; you could stare directly at it. Our first afternoon in the city we headed up to Wat Doi Suthep (see video) which, sitting high on a hill, boasts an expansive view of the city, but ours was of a cloudy beige below. 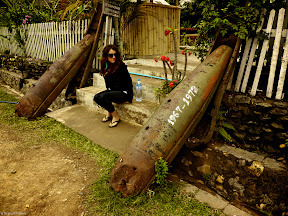 On our next full day we took a very long motorbike ride around the hills and rice fields, and by day’s end our eyes were burning, our throats sore, and our sinuses congested. In the end it took us about 2 weeks until we were completely out of the smoke to feel totally well again. As we moved on from Chiang Mai to Pai and found more of the same, if not worse, we realized with fear and abhorrence that this massive smoke cloud must be covering all of Northern Thailand. One would never suspect that in fact slash and burn activity is actually illegal in Thailand, but like many laws here- this one is obviously not enforced. We wondered and tried to find out if smoke was polluting Laos, out next destination, as well. How far south would we need to go to breathe clean air? 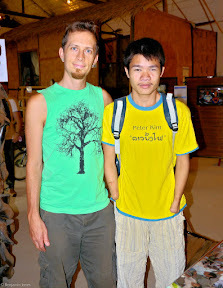 Ben’s cough was not getting any better but we were still attached to the idea of spending time in Laos, and we decided to keep our flight into Luang Prabang as planned. We discovered that this year’s slash and burn was particularly a bad one (lucky us!) but to realize that this happens all over this region every year (let’s not forget about South America too!) was truly frightening. Thailand had made statements that tackling the haze was a “#1” priority but it was hard to see how that was true if regulations weren’t even being enforced. We did hear that in past years the Thai King had developed a method of sending of chem-trails by air to insert silver iodides into the smoke clouds and hopefully induce rain (which helps dissipate the smoke). This year the Thai Ministry of Public Health was distributing sanitary masks and accounts of hospitalizations from smoke-related illnesses were reportedly on the rise. We were all praying for rain. Southeast Asia is a developing part of the world full of contradictions and clumsily trying to modernize in sometimes backwards fashions. It is obvious that this old practice is here to stay, farmers are burning their crops for their livelihood and ain’t no one gonna stop them. For the traveller, however, unless you yourself are a heavy smoker and unfazed by air pollution, you may choose monsoons over burns.